On August 28, the No Barriers Outdoor Classic at Walnut Cove, coupled with a gala and “Fund-a-Need” the evening before, raised more than $350,000 for the organization, with about $189,000 designated specifically to No Barriers Warriors. As one of the sponsors and participants in this event, Electronic Office was excited to support such a worthy cause. 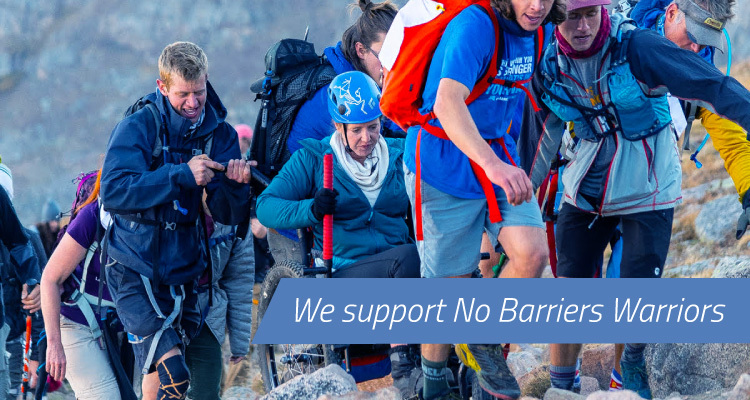 No Barriers Warriors is dedicated to transforming the lives of veterans, no matter their disability or combat experience. “People connected with the cause and loved the work being done for veterans. It’s really life-changing for helping veterans transition into civilian life,” says Lynn. “They work directly with women veterans—some with physical disabilities and also internal disabilities, such as PTSD and chronic brain injuries. The program takes veterans on (experiences).” They go on anywhere from five- to twelve-day expeditions. To learn more about the work of this life-changing organization, visit nobarriersusa.org. We have taken precautions to make sure we are fully available to support you and your business throughout this event. The Electronic Support Team will remain on high alert and available 24X7 for whatever Florence brings our way. Our new location is a far cry from our small space in 1981; that’s the year Kemper Brown Sr. opened Electronic Office in the South Forest Shopping Center on Hendersonville Road as a retail store selling and servicing typewriters, word processors, and microcomputers. Much has changed since then. What hasn’t changed is our commitment to provide small and medium-sized businesses in our region with the reliable information technology services they need to grow and succeed. 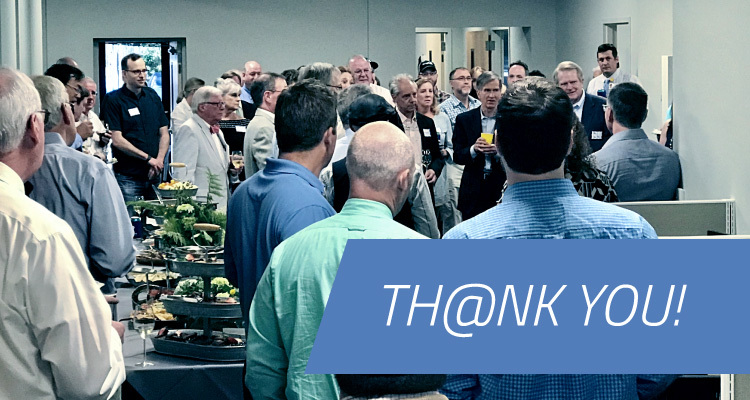 We are grateful to have spent such a fun evening mingling with folks from all over the region. Each day, we are proud to provide IT support and management to so many businesses and organizations who have helped shape Western North Carolina into the thriving and renowned destination that it is today. One of our core values at The Electronic Office is giving back to our community of Western North Carolina. 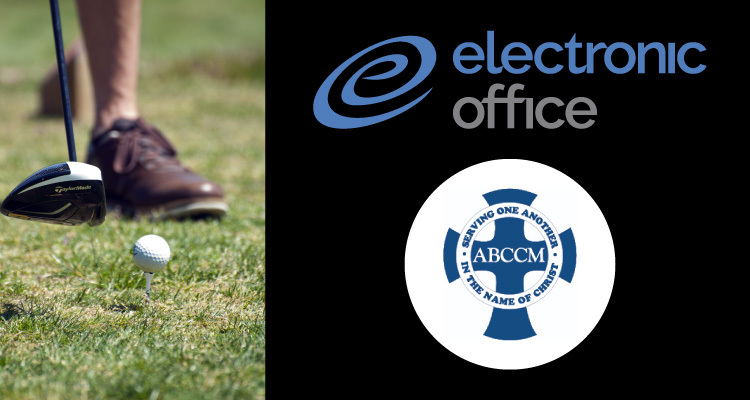 In April, we were honored to sponsor and participate in Asheville Buncombe Community Christian Ministry (ABCCM)’s 34th annual Golf Tournament at the Etowah Valley Golf & Resort. ABCCM is a nonprofit organization that addresses poverty, hunger, homelessness, and access to health care for the underserved in Buncombe County. We joined 30 other four-person teams and several sponsors in this fundraiser to help raise $75,095 to support ABCCM’s programs! 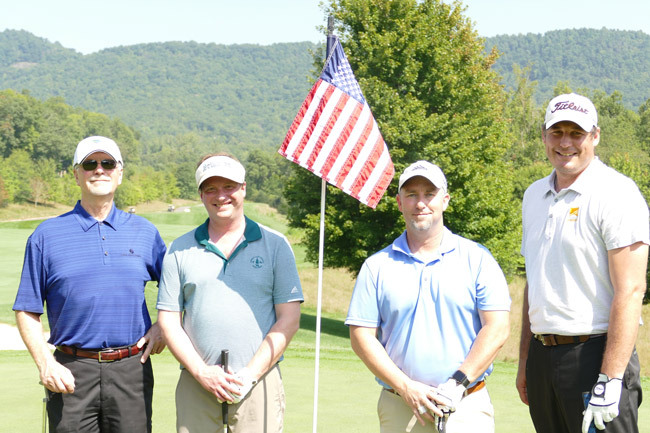 We enjoyed our afternoon of golf and conversation, and feel so fortunate to be able to give back to ABCCM, which does so much for those served. ABCCM is a family of 284 congregations organized to provide ministry in the areas of crisis, jail, transitional housing (for homeless veterans, men, women, and children), veterans employment and training, homeless prevention & rapid re-housing, a veterans call center and a free clinic offering medical, dental, and pharmacy through more than 6,000 volunteers. The relationship we’ve fostered with ABCCM dates back to 1982 when Reverend Scott Rogers, ABCCM executive director, and Kemper Brown, EO founder, first met. Both organizations were pioneers in the computer industry from two very different perspectives. The Electronic Office was equipping and training businesses on how to unleash the power of computing in both a high tech but very personable way. ABCCM was seeking to build the first human service network of public and private providers in North Carolina. ABCCM built a coalition that received approval from the NC Attorney General’s Office to become the first to share information in an confidential network and with informed consent. The coalition included community leaders with county health and human services, United Way agencies, and faith based organizations. EO provided the technical capacity and expertise that designed and installed the network with 12 agencies and 22 computers; thanks to a grant from the JANIRVE Foundation. These two organizations have grown together, continued to break new ground, and are committed to this day to build a strong community by demonstrating that strong relationships with integrity are the backbone of great businesses. We are both dedicated to understanding the need, finding solutions, and never giving up until we produce the outcomes that are a win/win for everyone. In the event you lose all the data on your computer, are you prepared to seamlessly restore everything? Here’s a quick breakdown of what we recommend to our clients at Electronic Office and how we can help. Why Would You Need a Computer Backup? In the IT world, we talk to our clients about the importance of good patching, antivirus software, and firewalling. All of these are important prevention measures, but even when you are doing everything necessary to prevent problems, backing up your data is still crucial. If you’re struck by ransomware, but have good backup, the hackers have little leverage over you. If everything else goes haywire, at least you can roll with the punches and restore your information. You may wonder What could go wrong if I don’t backup? The simple answer is everything. Imagine if everyone in your office or business lost access to their computers. This would be a disaster, right? This is basically what happens when a computer loses its data without good backup. It becomes virtually useless. The most severe cases result in business failure. If you no longer have your invoice tracking and lack a good backup, then how can you prove your vendors owe you money? How can you replicate records that are gone forever? It can be devastating. It’s not only ransomware (like the WannaCry outbreak we have written about in our blog) that can result in data loss. Hard drives almost inevitably crash and human errors are common. Have you ever accidentally deleted a file from your trash? We’ve all been there! If you had a proper copy of it, it could have been easily restored. Let’s avoid all that. Saving your data in at least two different places (on different devices) can be easy. What Does it Mean to Backup Your Computer? Generally speaking, there are two kinds of data backup locations: onsite (physical, such as an external hard drive) and offsite (the cloud, a web-based service). Onsite backup is quicker than cloud when it comes to restoring. The cloud-based server is there as an added layer of protection. In a nutshell, there are two types of backups: Full Image/Mirror Backups (an exact replica that includes settings, operating system, etc.) and File and Folder Backup (selected files and folders are replicated). The former is usually a more complex process that requires a more technical understanding to get it installed and running, and the latter is more common among consumers (think Carbonite or Time Machine). The downside to File and Folder Backups is that if your operating system gets corrupted, for instance, it would be very time consuming to get your hardware components back, settings and preferences restored, and your operating system up to date. At Electronic Office, we use a hybrid approach with both offsite and onsite solutions. We take full image backups to an onsite device at our client’s location. Copies of this are sent to the cloud. 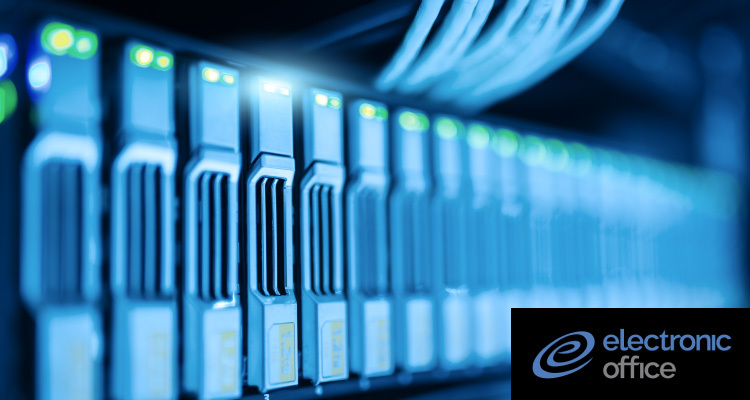 With our backup solutions, if a server fails, for example, we are able to boot up the copy of that server on our backup appliance so you can keep on moving. If your office building is destroyed by fire (along with your computers and all onsite backups), we can get your business working again quickly by importing your old data into your new computers by connecting to our cloud-based backup servers. It’s a business continuance as well as a disaster recovery solution—all-in-one. We’ve heard too many stories of people regularly backing up their data only to find that when they needed it, nothing was recorded. It’s one thing to back it up, but you should also do periodic testing to make sure your data is there and usable. We recommend that people test their solutions at least once every quarter (monthly is really the best). What is your organization’s data backup plan? When was the last time you tested it? How long would it take to recover data from your current backup solution? What is the financial cost of downtime for your business? By self-evaluating where you stand today, you can help safeguard your data against the risks of tomorrow. At Electronic Office, we can make the backup process easy. One way in which we do this is by working with your organization’s internal IT staff so they can play a part in the process. Or, we can handle everything. Since backups are far from “set it and forget it” systems, we are able to check them every day to ensure they’re running successfully. We perform regular, automatic backups for our clients so they don’t have to give the issue another thought. Contact us today and learn how we can give you peace of mind. 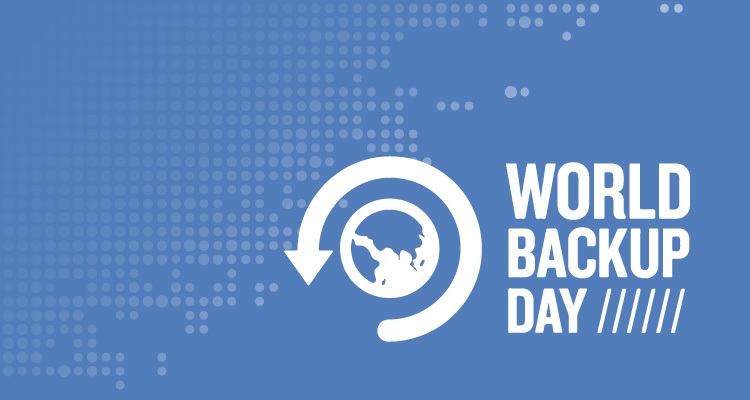 Celebrate World Backup Day by ensuring your data can be easily retrieved whenever you need it, wherever you are.